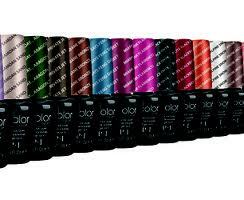 Gelcolor by OPI is now available at Blue Dahlia Makeup Artistry. Get the same iconic OPI nail varnish color in lightning speed, high gloss Gelcolor that lasts for weeks. Please allow 30-60 mins* for application, and 15-30 mins** for removal of Gelcolor. This kit allows you to remove your Gelcolor polish yourself at home, kit includes OPI Expert Touch Remover wraps(20 pack), OPI Expert Touch Remover 30ml, and a cuticle stick. *An Express application takes 30mins, it involves just the application of the Gelcolor and massaging of the cuticles with cuticle oil. There is minimal filing of the nails and no massage which is the standard with the Full Manicure. 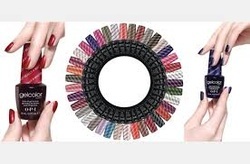 Therefore I would recommend that you come in with your nails already filed to the length you would like them. **Just a little note about removal of OPI Gelcolor. The longer the polish has been on the longer it takes to remove. If you have hand your Gelcolor on for longer than three weeks it may take longer than 30 mins to complete the removal process, as the remover will need to stay in contact with the Gelcolor longer to work through the layers to fully remove. When the Gelcolor has been on between 2-3 weeks the process is much faster. If you prefer there are take home kits available for purchase and this allows you to remove the polish yourself in the comfort of your own home, this is recommend if you know you can be short on time.